Grubhub is an on-demand food delivery service. It operates on both website and mobile application. The Grubhub mobile application is available for both iOS and Android. It was founded by Matt Maloney and Michael Evans in 2004. It is headquartered in Chicago and serves in more than 900 locations in the USA. Within 10 years of business, the startup was its dream of becoming an IPO. Grubhub attained the IPO status on 7th April 2014. This website has made several restaurants accessible for their users. The target audience for the company is the ‘tired people group’. Food delivery makes everyday meals very simple for bachelors. It is also a great option to host parties. Let’s discuss how does Grubhub work. Grubhub connects diners with a variety of restaurants available near them. They can order food and get it delivered at their doorsteps. They provide their services on their website as well as mobile application. Let’s see how it works for different components of the business. Consumers: The users can browse the various restaurants available on the portal. They can then place an order and wait for their orders to the delivered on their doorsteps. The portal allows them to pay online or in cash. This gives the consumer flexibility and makes the application user-friendly. Restaurants: Once a user places an order, the restaurant is notified about the same. They can confirm the order based on the availability of the same. Once they confirm, they can proceed to prepare the order and keep it ready for the couriers for delivery. Couriers: Once a restaurant confirms an order, a courier stationed nearest to the location gets a notification. He has to accept the delivery request and then directly head to the restaurant. The order is either ready for collection or the courier has to wait for a while before it is prepared and packed. Once this cycle has been completed, the food is then delivered at the consumer’s address. This is how one complete cycle of an order takes place. We can understand this simple process in detail. How does Grubhub work for consumers? 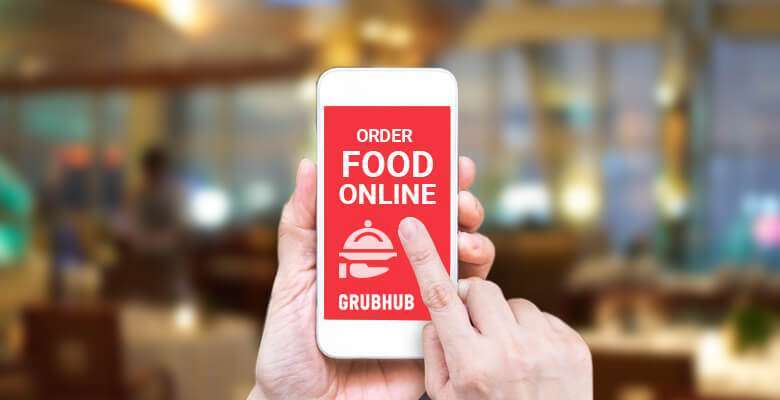 In this section, we will see how does Grubhub work for the consumer through a stepwise model. The consumers are the primary users of the food delivery service. They are the basic component of the business. Giving an excellent user experience to the consumers is very important for any business to thrive in the market. There are a variety of restaurants available on the online portal. The consumers have to browse the restaurants and their menus based on the cuisine they’d prefer on a certain day. Once they’ve decided upon the cuisine they can go through the restaurants providing the same and decide what they want to order. Payment is the last step for ordering food from Grubhub. Once the payment is done, the ordered the placed and the restaurant’s role comes into play. Now all the consumer has to do is wait for the courier to bring them the meal at their doorstep. This is how Grubhub works for their consumers. It makes it super simple for the users to order meals at any time of the day. For its simplicity and variety, it has become the go-to option for the ‘hunger-pangs’ of USA. How does Grubhub work for the restaurants? Step 1: Bing! There’s an order! As soon as the consumer completes a payment the restaurant is notified on its dashboard. The restaurant has to then check the availability of the order required. Once the availability is confirmed the restaurant has to then confirm the order on the dashboard. This will send the consumer an update and will notify the nearest courier about the same. After the confirmation is done, the restaurant has to then start preparing the order. The meal should be ready and packed when the courier arrives. This is the main part of the restaurant’s job. Once the courier arrives at the restaurant they have to simply hand the parcel over to the courier. The restaurant has to make sure that the packing is done according to the food being parcelled. It should be convenient to transport and should not create a mess. How does Grubhub work for couriers? Being a food delivery app, delivery is an essential part of the business. Grubhub has a network of couriers that pick up orders from the restaurants and deliver them to the consumers. As soon as a restaurant confirms an order, the courier stationed nearest to the location is notified about the order. The courier has to accept the order if it is possible for him to reach in time. After accepting the delivery request, the courier has to reach the restaurant as soon as possible. Once he reaches he has to pick up the order and update the same in this application. This helps the user to track their orders while on the way. After the pickup, the courier has to reach the address assigned to the order. The couriers can contact the consumer in case of delays. They can also contact them for directions. Once they reach the delivery is to be done and the tips collected. This is how one complete cycle of order takes place on Grubhub. 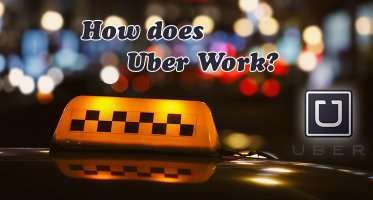 With this, we understood how Grubhub works for the various components of its business. Grubhub also provides the Grubhub pick up service. It makes meals very accessible for the users. The user can order his meal through Grubhub pick up and they can pick it up when it is ready. Once the user orders a meal online, the restaurant is notified of the order. Being a pickup order there are no couriers involved in the odder cycle. The restaurant keeps the order ready for the user to pick it up. This makes it very simple to get your take away order and saves time. It reduces the user’s queue time and helps restaurants serve better. Grubhub picks up also gives immense exposure to the restaurants associated with the business. What are the features that exemplify Grubhub’s success? While understanding how does Grubhub work, it is very important to look into the features that make it user-friendly. 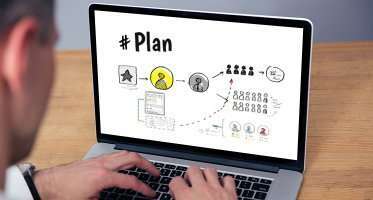 For an on-demand online business model to succeed in the market, an excellent user experience is a must. What differentiates a food delivery application from the many others is the user experience. It is all about how easy it is to use. Let’s look into some of the features of Grubhub that assures simplicity and accuracy. Personal Account: the user can create a personal account on the application. Here, they can add their personal details, manage address book and add cards and other preferable modes of payments. Restaurant Search: the application has a curated restaurant search with filter and sort options. The user can apply filters such as cuisine, location etc and sort the search based on their relevance, reviews or price for two. Online Payments: consumers can pay for their orders via credit/debit cards, PayPal and various other modes of payment. This makes it accessible for the users to use the food delivery app. Order Tracking: Grubhub allows the user to track their order with instant updates of the same. The user is notified every time the order reaches the next level. While the order is on the way, the accurate GPS system lets the user track the exact location of the courier. Contact Information: the users can contact both the restaurant and the courier for updates. In case of some instructions, the user can call the concerned person and do the required. Ratings and Reviews: the consumers can rate and review their orders and update customer satisfaction. The users can rate their orders out of 5 stars and leave reviews about the same. Take an Order: The application sends push notifications to the courier everytime an order is placed in a restaurant nearby him. These location-based notifications help the courier to accept orders as soon as possible. Accurate GPS service: the application provides an accurate GPS service for the couriers. The consumers set a location of their delivery address, the couriers can access the same through the GPS system. This makes it very easy for them to deliver orders to the areas not familiar to them. Contact Information: the courier receives the contact information of the restaurant and the consumer. In case of delay or when he is not able to find a location, it is easy for him to contact the concerned person. Complete an Order: the application allows the courier to complete an order in the app. They can update the order status as ‘delivered’ and rate the consumer as well. It also allows the courier to review the consumer. Restaurants operate on a dashboard provided by the company. There are several features of this dashboard that allows the restaurant to manage several orders at a time. Let’s look into these features and how they contribute to Grubhub’s success. Point-of-Sale Solution: Grubhub’s dashboard allows the restaurants to calculate the sum total of the items purchased in an order. This point of sale solution helps the restaurant to make accurate and hassle-free transactions. Send Requests to Couriers: Once a restaurant confirms an order, a request is sent to the couriers stationed nearest to the restaurant. This courier system has given exposure to many restaurants who couldn’t afford or manage their own delivery system. Accounting and Reports: the dashboard allows the restaurants to generate bills and invoices for the orders online. Grubhub also sends invoices to the users who request for the same. It also stores the data of the orders completed by the restaurant. This makes accounting super simple for the restaurants. It also allows the restaurants to view reports of the deliveries done monthly or quarterly. Customer Support: The restaurants can provide customer support to the users through the dashboard. The users can contact the restaurant for updates and instructions and the restaurants can respond to the same. This also provides as an interacting interface for all the parties involved. While talking about business revenue matters the most. After understanding how does Grubhub work, let’s look into how does Grubhub make money. There are several sources of income for the food delivery company. To know how does Grubhub makes money, a revenue model is what you’re looking for. Here is a detailed revenue model of the food delivery company for a better understanding. Delivery Fees: Grubhub charges the consumer a minimal delivery fee on each order. This fee is for the courier but the company takes a percentage of this delivery fee as commission. This is one of the major sources of revenue for the company. Advertisement Charges From Restaurants: There are some restaurants which pop up in the consumer’s application every now and then. The frequency of this restaurant showing up is higher than the others. These are the sponsored posts. Grubhub allows restaurants to pay an advertisement charge and expand its reach. This is an additional income for the company. This is all about the revenue model of Grubhub. These are the major sources of income of the company. Food deliveries have made our lives easier manifold. This is a business with great potential. If you’re someone who wants to build something similar to Grubhub then take a look at a customizable ready-to-go Grubhub clone script for your start-up. What is your opinion regarding the article on How does Grubhub Work? Tell us in the comment section below. You may like to read other blogs from on the demand category. Arrista is an experienced content writer. She likes to read & write about digital startups across industries. If some one needs to be updated with most up-to-date technologies therefore he must be visit this website and be upto date everyday.. Absolutely it was very useful for my search..